photo: Carrollton Kiwanis Club President Mike Renfrow, Neil Weathington, and Richard Dixon. 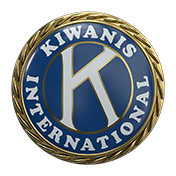 The Carrollton Kiwanis Club won the award for best website in Georgia for Kiwanis Clubs with 100 + members. Richard Dixon was instrumental in acquirng the clubrunner product, and the website is maintained by Neil Weathington and Matthew Clay.